We love all children and we want them to learn about and learn to love Jesus. From our nursery through 5th grade, we provide engaging ways to teach our children about God, about Jesus, and about learning to live and love the way God calls us to live and love for Him. We believe it is important to combine age appropriate, structured learning with creative activities to help our children develop a passion for the things of God based on the foundation of God’s Word. We do our best to maintain consistent leadership in the children’s ministries so there will always be a familiar face when you arrive. All of our teaching materials are chosen carefully with the following criteria in mind: Strong scriptural focus, Biblical truths taught as foundations for character building and life choices, and age appropriate activities/lessons that engage the children. Dedicated teachers often serve for many years, forming lifelong relationships with our children. An opportunity for our children to receive a Sunday message in a fun and interactive way. During the school year, our children’s choir, the Merry Music Makers, rehearses each Sunday at 9:00 a.m. All elementary aged children are welcome to attend and participate in singing one Sunday a month in our 10:45 Service. (Participating children attending the 8:15 service quietly leave the service at 8:55 and meet for rehearsal in the Choir Room). During the school year, our 2 to 5 years olds love to “Make a joyful noise to the Lord”! The children sing in their classrooms at 10:30 on Sunday mornings and enjoy singing their favorite songs at the 10:45 Worship Service about once a month. 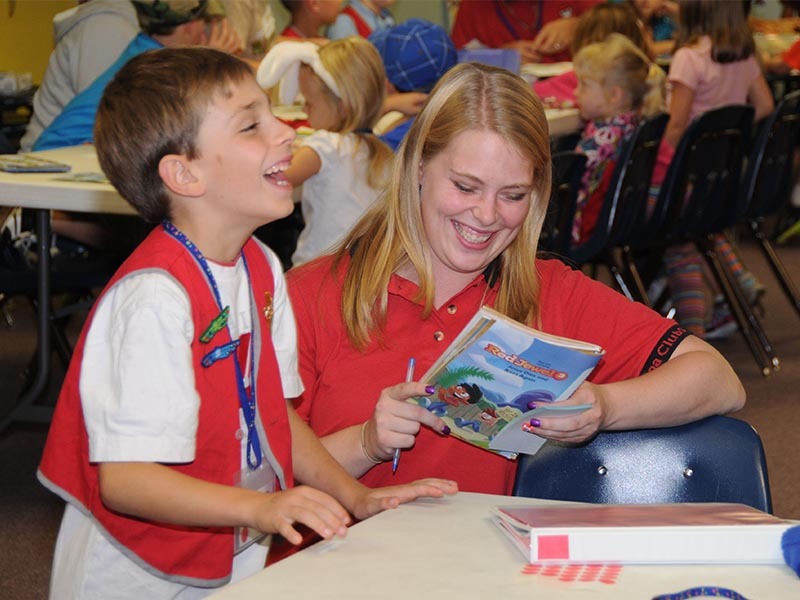 The mission of Awana is to help “churches and parents worldwide raise children and youth to know, love and serve God.” Children from 3 years through 6th grade are welcome to attend this fun-filled night, where they will participate in organized games, learn scripture and enjoy interesting object lessons. Childcare is provided for younger children whose parents are serving or attending Bible study. A Friday morning ministry, designed to give moms with young children a little break, runs from September to May. Small classes insure plenty of individualized attention in a loving, Christian atmosphere. Three classes are offered for children 2 through 4 years old. Space is limited and registration is required. There is also a fee for this ministry to help us cover the cost of the workers.